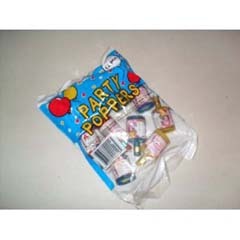 Deluxe party poppers shoot out confetti and fringe with you pull the string. Always point away from people and animals! 12 popper per packages. Great for New Year's, weddings, birthdays, or any celebration. Contains pyrotechnic composition.